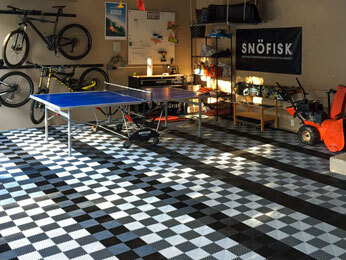 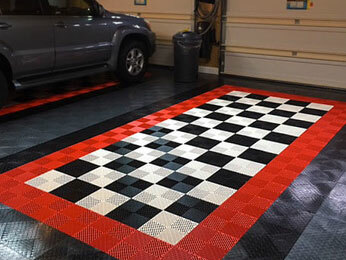 Garage flooring solutions can transform both the appearance and performance of your garage, creating a customized space that reflects your needs and lifestyle. 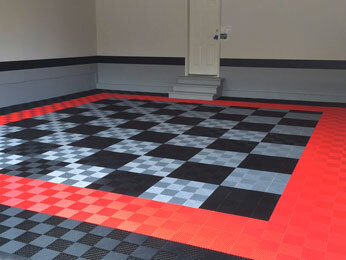 Beautiful, durable, and flexible, our RaceDeck garage flooring withstands even the toughest garage environments – and the patented garage tile system means no mess or toxic fumes. 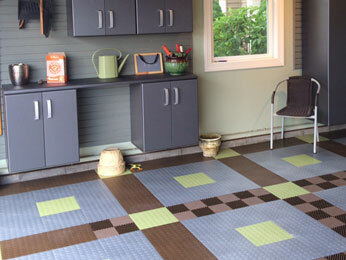 Contact Overhead Door Company of Northern Kentucky to schedule your free sales estimate, and transform your garage into a hardworking, high-performance space that enhances your home’s value – and your quality of life. 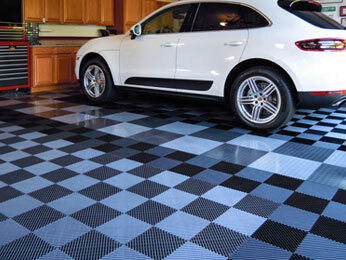 Here are just a few of the options for a beautiful, durable customized garage floor designed to fit your specific needs.